Participants gathered from September 9-11, 2018 at the Don Bosco Provincial House in New Delhi, India to discuss the joys, hopes, and aspirations, along with the sorrow and anguish, of the world’s 250 million migrants — 19 million of whom are internally displaced (IDP) in Asia alone. The conference, “Migrant Workers: An Asia-Pacific Experience,” was held to provide space for men and women religious in Asia to discuss their experiences assisting today’s many migrant workers and address their critical concerns. This conference was the third in a series of conferences on migration issues, the first held in Europe, the second in Africa. The conference was sponsored and organized by the Congregations of St. Joseph, along with eight other international religious nongovernmental organizations (NGOs) working at the United Nations (U.N.) in New York: Fondazione Proclade Internazionale – Onlus (Claretians), Institute of the Blessed Virgin Mary – Loretto, International Presentation Association, Passionists International, Sisters of Charity Federation, UNANIMA International, and VIVAT International. The national co-organizers were Caritas India Delhi, CBCI Labour Office Delhi, Montfort Social Institute Hyderabad, Streevani Pune, and Odisha Regional Forum for Social Action. 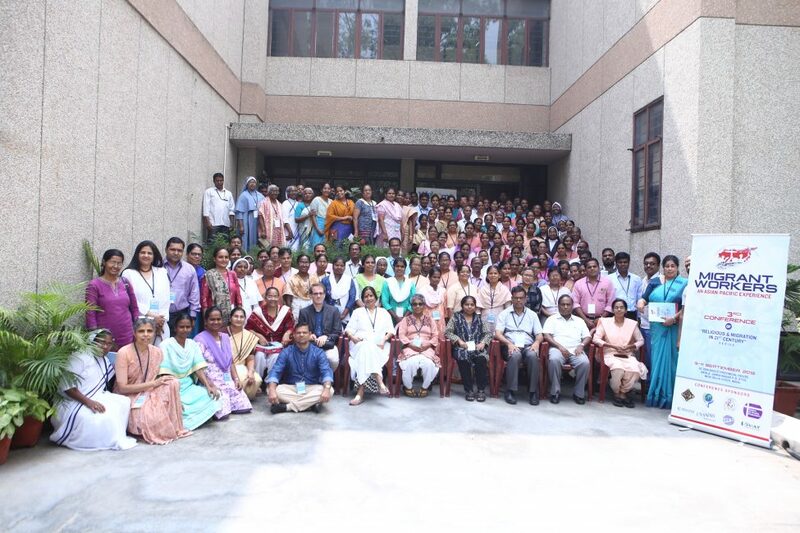 The conference had 161 participants, with 30 of them representing the eight provinces of Sisters of St. Joseph in India from the Lyon, Annecy, and Chambéry (LAC) congregations. 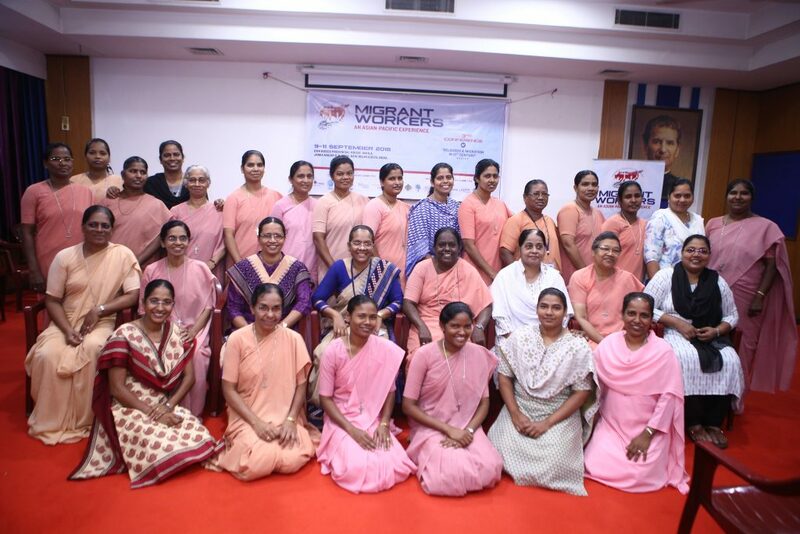 The Sisters of St. Joseph, who minister in 22 out of the 29 states in India, are committed to working with the outcome statement and integrate it into their future decisions. The conference represented a challenge for some because it was a new topic as India denies that the country has any migrants or IDPs. In reality, nearly 2.4 million people were internally displaced in India in 2016. According to a U.N. report by the Internal Displacement Monitoring Center, conflict, violence, and natural disaster caused 31.1 million new people to become internally displaced in 2016. The positive feedback we received from participants confirmed a need for bold commitment to migration issues and a need for further collaboration, not competition moving forward. The hope is that this workshop will enhance our advocacy at the global policy level within the U.N. system. The U.N negotiations on the Global Compact for Safe, Orderly, and Regular Migration and the 2030 Agenda’s robust and ambitious dream to “leave no one behind” cannot be met without its realization for all people — especially the vulnerable populations of migrants and refugees, those of irregular and undocumented status whose living conditions, human dignity, and human rights are neglected by prevalent development and other social policies. The drafting committee is at work with a statement which will be circulated shortly and will act as a working document for all participants to move forward. The statement will help us continue to work on some of the goals of the conference including deepening our knowledge of issues affecting migrants, developing a deeper understanding of the policies contributing to migration in Asia, and strengthening collaborative networks at the local, national, regional, and global levels. You can also read reports on the conference in Global Sisters Report and Matters India.